If the Taliban were ever thinking of a plan to get sympathy in the Western world murdering 10 mountaineers was not the right formula. By killing ten mountain climbers in Pakistan at the base camp on Nanga Parbat they have essentially placed an even larger target on their backs for drones to locate and then to kill. Unfortunately for the people in Pakistan who earn a living in the tourism industry this hurts them more than anyone else. 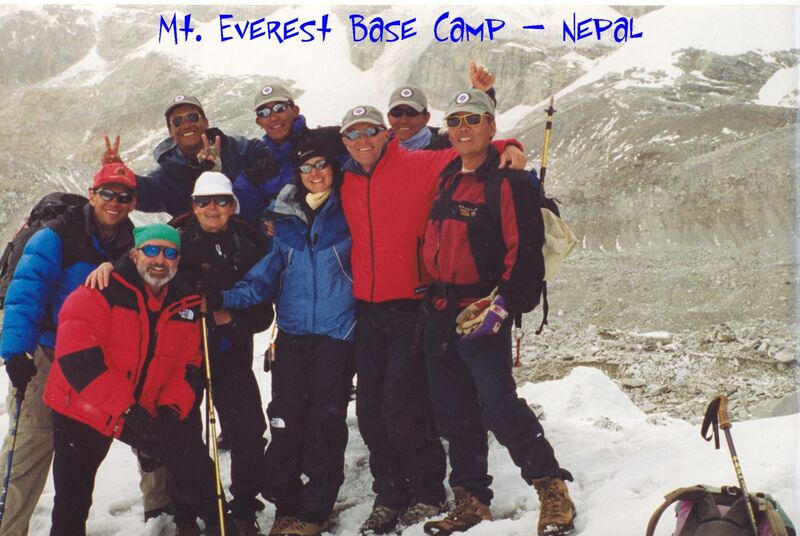 During 2002 I was one of four climbers, trekkers really, visiting Nepal to trek from Lukla to Mt. Everest Base Camp. It was a trip I was really looking forward to making. But just before we departed 9/11 happened and most everyone dropped out. Wally Berg, of Berg Adventures contacted the four of us who hadn’t cancelled to say if we were good he was good to guide us. Four remained steadfast and we were happy we did. Lukla, Nepal – An Adventurous Airport – The landing is cool but the take-off is even better. As a practice area I include Adventure Travel because there are inherent risks in this area of adventure travel that people give short shrift. They shouldn’t but they do. The guides don't want to talk about it. Hardly any will discuss the risks with you, but if you do some reading you can piece together what you are up against. While staying in Namche Bazaar there was a sign on the wall warning trekkers not to go out after 6:00 PM and walking on the trails. The Maoists were attempting to overthrow the Royal Family and were attempting to scare tourists away in order to destroy the economy. The Sherpa’s talked about the situation openly because climbers and trekkers were their livelihood. And it is. Now this in Pakistan. What a mess. But adventure is not something mankind can turn off and on. It's in us like discovering America was inside Christopher Columbus. Pakistani mountaineering will regroup and they will be back as strong as ever. We wish them well in these trying times. Namaste. Attorney Lombardi has travelled the globe to trek and participate as a mountaineer. He’s been to Kilimanjaro three times, Mt. Elbrus in Russia twice, the Matterhorn in the Swiss Alps, Chamonix in the French Alps, Mt. Aconcagua in Argentina in South America and Mt. Everest Base Camp in Nepal. He’s lived with the Maasai people for three days and done a three day safari. He’s rode the south end of north bound cattle on the Shively Ranch, now known as the Dryhead Ranch set straddling the southern border of Montana and Wyoming. We’ve read the Releases and have seen the good, the bad and the ugly. Steve loves to travel, but hates the BS that seems to follow this unregulated industry. Call us if you have legal questions. Steve Lombardi is a personal injury lawyer in Iowa. If you, your spouse or a member of your family or friends are involved in any kind of accident contact the Lombardi Law Firm. We can assist you with your claim. Don't delay, call today.